Give a Waters & Brown gift certificate this season, and inspire a home transformation! Stop in to one of our store locations to pick up the perfect gift! Waters & Brown is more than just paint: we can help you update your space from top to bottom, with wallpaper, fabrics, rugs, and more, and we can come to you, with our in-home consultation service. We’re thrilled to announce that Waters & Brown has been awarded “Best Wallpaper, North” by Boston Home in their 2019 Best of Boston® Home issue. Waters & Brown was featured in the latest issue of C2’s The Gamut Quarterly newsletter. Click here to learn more about our history as a family-owned small business, our reinvention and innovations through the years, and why we love C2 Paint. 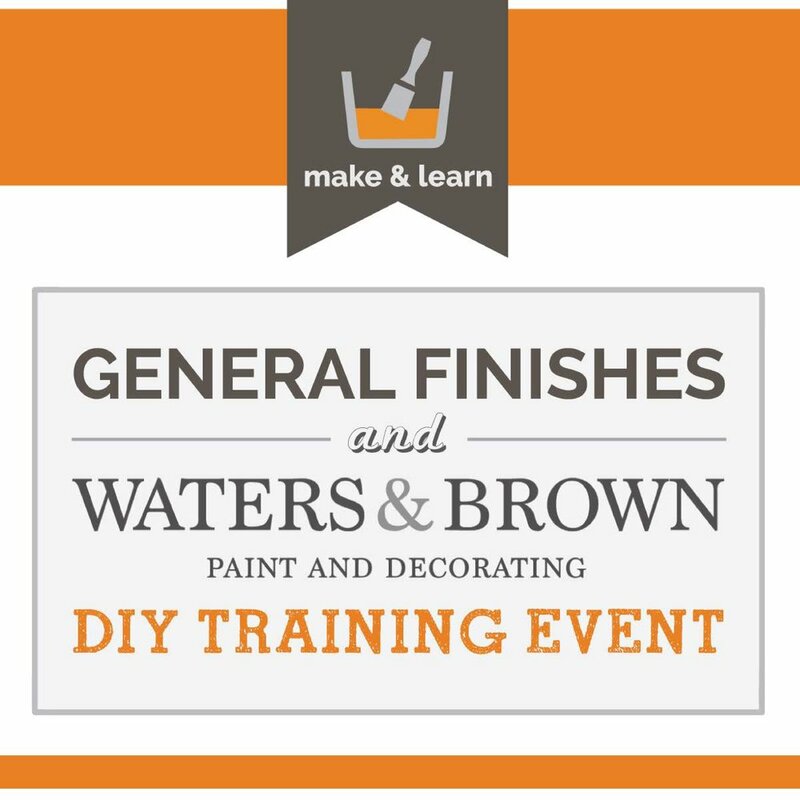 This event is focused on training and educating all levels of hobbyist, DIY users, and professional decorative painters who would like an introduction to General Finishes Milk and Chalk Style Paint product lines. Training covers application and usage of GF's products, including glazes, top coats, and water-based stains. Finishes include a variety of faux and other professional types of applications. Curious about creating fine finishes using water-based technology? This event is for serious professionals who want to learn more about General Finishes’ professional product line. Stop by one of our Waters & Brown locations to shop the best discounts of the season, or schedule an appointment with one of our design experts. 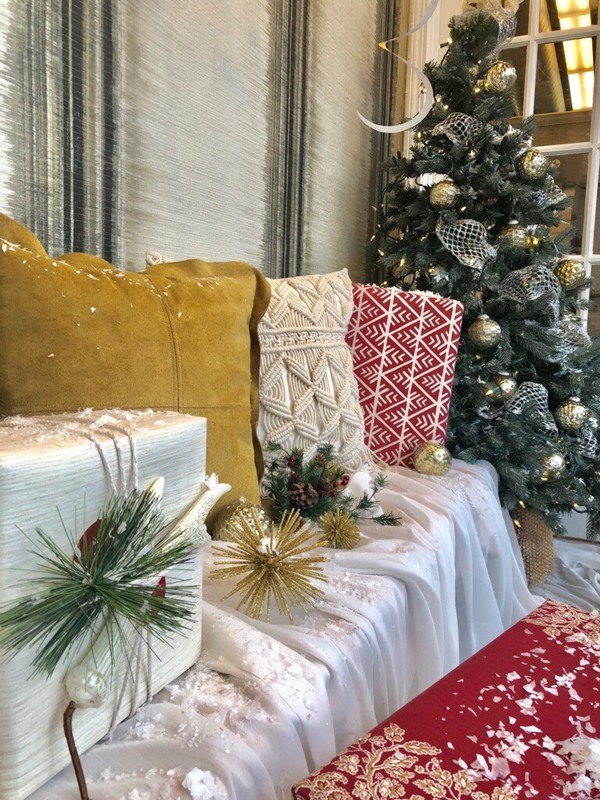 Stop by one of our Waters & Brown locations to shop the best discounts of the season, or schedule an appointment with one of our design experts. Join us for our Open House and Spring Sale Kickoff Event to meet & greet our special guests, enjoy refreshments and goody bags, and enter for a chance to win a $100 W&B gift certificate. We've all seen those trash-to-treasure posts on Pinterest and Instagram: curb-side or thrift store furniture transformed like Cinderella by her Fairy Godmother. It's not just a fairy tale. With a bit of imagination and DIY know-how, you can upcycle worn-out or dated furniture and accessories, and create your very own belle of the ball. Meet Dawn MacBurnie, decorating and color specialist. Dawn has an instinct for color and design. As nature explodes into a riot of gorgeous autumn color, it's time to find inspiration to update your own space. Shop now, during our annual Fall Sale, October 2nd-31st, for the deepest discounts of the season. Save $10 off the regular retail price on gallons of C2 Luxe and C2 Cabinet and Trim. Save $5 off the regular retail price on gallons of C2 Studio, C2 Exterior, and Benjamin Moore Regal Select Interior. Save $8 off the regular retail price on gallons of Benjamin Moore Aura. Save 25% off the regular price of special order wallcoverings and fabrics. Farrow and Ball wallpaper is 15% off the regular retail price. Save 15% off the regular price of special order decorative hardware. Save 15% off the regular price on Dash and Albert rugs and accessories, plus free shipping. Save 25% off the regular price of Kaleen rugs. Save 25% off the regular price of Pine Cone Hill bedding. Save up to 20% off the regular price of Hunter Douglas window treatments. This Riverside Home in Danvers, MA needed a new coating to protect itself from rain, wind, ice, snow, and heat. The homeowners selected C2 guard because it's protection lasts longer than all the other stain products on the market.